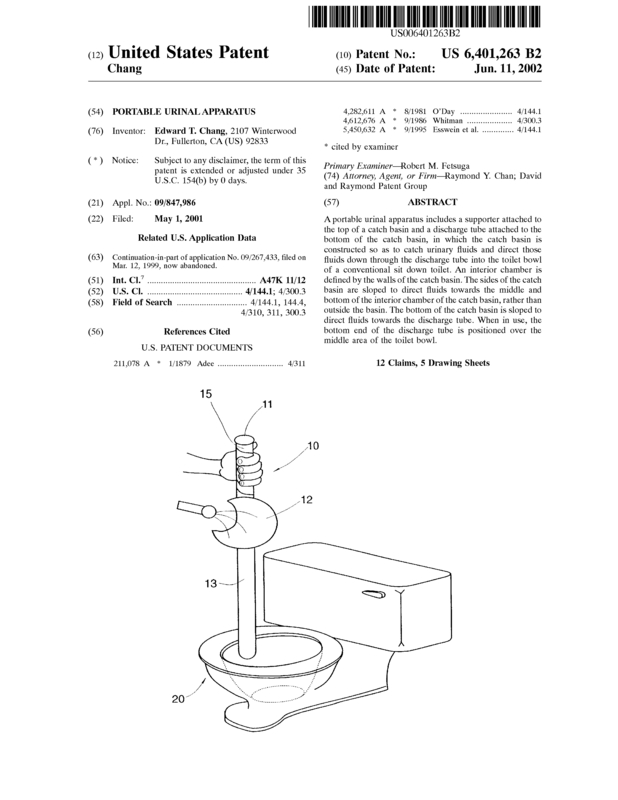 A portable urinal apparatus includes a supporter attached to the top of a catch basin and a discharge tube attached to the bottom of the catch basin, in which the catch basin is constructed so as to catch urinary fluids and direct those fluids down through the discharge tube into the toilet bowl of a conventional sit down toilet. An interior chamber is defined by the walls of the catch basin. The sides of the catch basin are sloped to direct fluids towards the middle and bottom of the interior chamber of the catch basin, rather than outside the basin. The bottom of the catch basin is sloped to direct fluids towards the discharge tube. When in use, the bottom end of the discharge tube is positioned over the middle area of the toilet bowl. 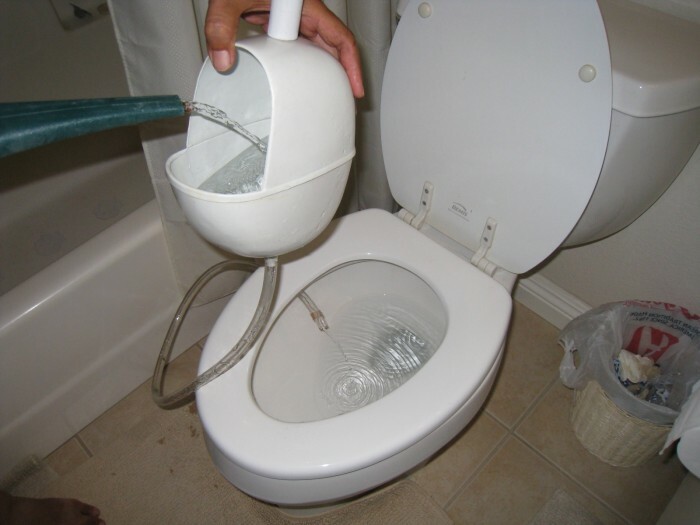 THIS IS A VERY SIMPLE AND WONDERFUL INVENTION TO SOLVE AN UNIVERSAL PROBLEM IN ALL REGULAR FAMILY BATHROOMS, THE TROUBLESOME CONSEQUENCES CAUSED BY THE SPLASHES OF SOME MALE MEMBER'S CARELESS URINATING. YOU CAN USE IT BY HANGING ON THE WALL FOR THE BOYS,OR FOR AN HELPLESS ELDER ON THE BED WITH A CONTAINER AT NIGHT.ETC. A BOTTLE OF WATER FOR AFTERMATH SPRAYING ARE SUGGESTED FOR SOME CONSCIOUS PERSON. A SIMILAR DESIGNED ITEM ARE HOT SELLING IN CHINA RIGHT NOW. I WILL SELL 90% OF MY PATENT AT ANY REASONABLE PRICE. Page created at 2019-04-25 19:58:12, Patent Auction Time.